I was the first one amongst my close knit of girlfriends that got pregnant. Although they were excited for me, I was torn between feeling special and feeling left out all of the sudden. All I could talk about was my pregnancy. All I really wanted to talk about was how I felt, what I’m eating, my next test, ultrasound, etc. I felt a discord amongst our girlfriend bond. They looked bored, and I'm not fun anymore. Breastfeeding, diaper changes, were so far in sight and in mind for them. Now in hindsight, I can see why they were so bored. As soon as I had the baby they were there to welcome my newborn. They came bearing gifts and well wishes. Truthfully, I just wanted them to be there and talk to me. I was an emotional wreck who questioned every decision I made. I didn’t feel that I was equipped to be a good mother. I felt sorry for my child and it felt wrong to tell my husband. It was certainly not something I would’ve shared with my own mother since I couldn’t swallow being judged. Baby blues pounced on my tired body and mind. In my lowest of lows I decided to call one of my really good friends whom I haven’t spoke to in weeks since baby was born. She was giggling as she answered the phone and then there were sudden hushes. I realized that my girlfriends were out having dinner, and a tinge of jealousy, hurt, and then anger passed through me. Couldn’t they have called and invited me? I mean, I am still the same person aren’t I? That was my blood pressure reading! Gulp. I tried to calm myself down after reading my wrist monitor. But, OMG! Will I suffer a stroke or a heart attack? Right away I called my husband at work and while waiting for him to take me to the ER, my mind raced. I stared, kissed and hugged my sleeping boys. My daughter was still up and playing. I grabbed her favorite book and read to her as we hugged and kissed. I was afraid that it would be the last she’ll see me. It sounds dramatic, but I was really afraid. I was scared. Not so much for me, but for my children. My husband was scared too. He drove me to the ER in silence while holding my left hand. In my thoughts, I was scolding myself. How can I let this happen? I should know better! I have three small children, and just the thought of going through foreseeable health issues made me cry. I felt helpless, embarrassed, and dismayed. Our family has been busy for weeks in preparation for the many celebrations that Chinese New Year brings in our community every year. Traditional customs and superstitions are even more strongly observed around this time of the year. During preparations, lanterns of red for good fortune and gold for wealth were hung around the house and community, I made sure that thorough house cleaning were done to sweep away the bad luck before the new year, and red packets of “lucky money” called “laisee” were handed to our wee ones. In school my two older boys had weeks of practice to perform with the Lion Dance besides practicing Chinese New Year songs with their junior choir group. Last week they participated in the Chinese New Year’s parade and now gearing up for the school’s annual Chinese New Year benefit performance and the many other community events. That is by far the most frequent question I get from other Moms. It also happens to be the same question I ask of other Moms that keeps me in awe. My answer is always “I don’t know”. But actually I do know. I learned that if I slack off on certain chores simplify my lifestyle, I am able to get by. - By simply showering at 3am before bed so all I have to do is hop off the bed at 6 to get the kids ready for school and me to work. In coordination with Chicagonista, the SV Moms Group celebrated its 3rd Annual Summer Party in Chicago for the 2nd time around! There was so much laughter and fun shared with our missed bloggy friends and we could not thank our sponsors enough for making this happen. Chris Campbell of Lakeshore Branding is our extraordinaire party planner and sponsor. Not only did he provide the beautiful party space at NV Penthouse Lounge, but the wonderful SVtinis and Chicagotinis were all provided by him. Lakeshore Branding also happens to be a “digital marketing agency that makes snazzy web sites and happens to be pretty darn good at Internet Marketing”. So if any of you are in need of some web help, he’s the man to call. That’s Caring along with Tasty Catering provided the delicious f ood. That’s Caring also provided a couple of their eco- friendly gift baskets as drawing prizes. Ring Central provided the trolley that chauffeured our bloggers back and forth to the Sheraton Hotel to the NV Penthouse Lounge and back. Yahoo provided the Tarot Card Readings that was a big hit! Whether it made some laugh, cry, or worry, I’m sure they were all some great materials to blog about. Smarty Card sponsored the much needed free massages. Imagine a mom without her kid/s. Partying with her girlfriends in a beautiful lounge. With martinis! And now massage?! Yes, it did happen. Photobooth Express sponsored the most fun party within the photobooth party! They were the silliest, cutest, and funniest photobooth pictures of moms gone partying. I've personally used this company in a lot of my events and I can't imagine not having them around to help me entertain my guests. And really, how can anyone go wrong with having one of these booths in any of your parties? An instant hit to all your party guests. This is a Flickr badge showing items in a set called Silicon Valley Moms Group Night Before BlogHer09 Party. Make your own badge here. Do you Twitter? Follow mjtam here. I was out to dinner with the kids and I was scolded by my 9-year-old to please put away my phone and tell them a story. I said “hold on for a sec”. Of course that didn’t really mean 1 second. That really meant until I finish responding to the hilarious response to my latest tweet. And so finally after sending back a couple of tweets and a quick check on Facebook, I am content again for about another 10 -15 minutes. Just enough time to chew and swallow a couple of bites from my already cooled-off food. Right away my other boy took my attention and exclaimed that he’s almost done with his food. I looked up and told him how proud I am of him. Funny how I didn’t noticed that he ACTUALLY ate. I mean for once, there was no pushing and bribing needed. (I’m really sounding like a stellar mom here) I told him “wow, how did you eat that so fast?” to show my excitement and nod of good job added with a dose of exaggeration. Then he said, “I ate it so fast but you didn’t notice because you were so busy with your phone”. Inside my chest cavity went silent. Then a big THUD came, a sound that my heart made when it dropped. As I sit and type here in my laptop, I noticed my 2 year old is as busy watching a video on my iPhone lulling her to nap. I guess just like my husband and I, all 3 kids are quite adept when it comes to technology. But whose kids aren’t so technologically or virtually inclined now-a-days anyway? 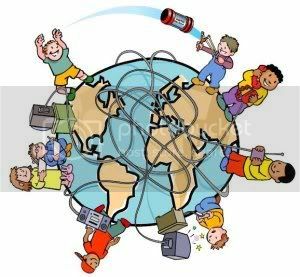 Are other families really that different from us? I mean our society is so infused with technology and I can’t imagine that this isn’t simply the case. My kids took on the laptop mouse / mouse touch pad faster and better than they did with potty training. My 9 yr.old son uses Office documents with ease and saves his work on a memory stick for school, and my 6 year old can manage to install a cd game by following prompts. They also happen to know how valuable it is for us to have wifi when we were traveling recently. 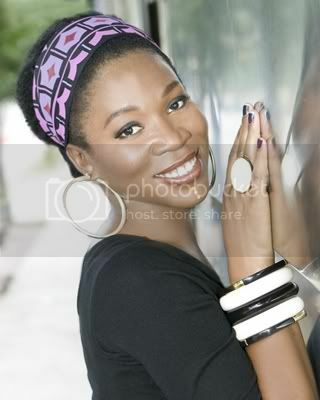 Make this a positively beautiful day"
These are the beautiful words from India Arie’s song – A Beautiful Day. I’m not sure how to describe what this song meant to me, but I am going to at least try. As a busy mom of 3 with way too many daily responsibilities to fulfill, it is so easy to get lost in the forever going madness and in need of some inspiration to go on. Between chauffeuring the kids to different activities while answering emails and making phone calls with a very active toddler, I can’t help but feel beaten and overwhelmed by the end of the day and not ready for more the following day. I just recently received an email from one of my blog readers saying that she aspires to be just like me since I seem so organized and can tackle anything my way with an ease. This continued on to how her life is depressing and that she reads my blog because I just seem to exude in happiness. I was flattered of course. But deep down I was sad for her. How can she measure her life according to what someone like me SEEM like? It was truly a sweet email, and yes overall I am truly happy. But I am nowhere near anything as organized or as confident as she said I am. 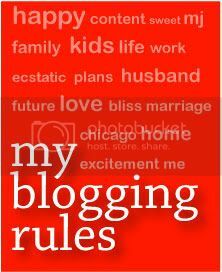 I guess the perception comes from what I try to achieve as a blogger. I’ve chosen to make my blog as a positive reinforcement in my life. With that being said, you will never find me write anything other than what is peachy at the moment. First off, I’m not one to delve on disappointments and so there is no room for that anywhere in my blog. A major wardrobe dilemma happened last weekend when the family and I had to attend a Chinese New Year Benefit. This has been a 2 month planning process for us in the committee and the night before the event some of the women started talking about their cheongsams. My brain froze! My mind started running. And if that wasn’t alarming enough, my second thought was even more concerning. 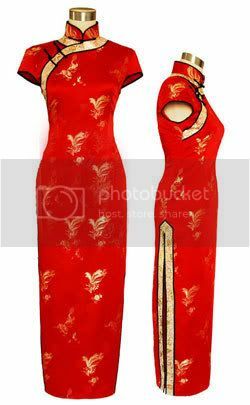 A cheongsam is a traditional Chinese form-fitting dress that will show even the tiniest of bumps. My hump and lovely lady lumps are just not suited for this kind of dressing. And besides, who wants a giant stuffed egg roll walking around anyway! So you can just imagine how horrified I was. But I had to wear something appropriate for the cultural occasion and I needed it quick.